As the hectic harvest season comes to an end and spring announces its arrival, it is time for some fun and frolic. 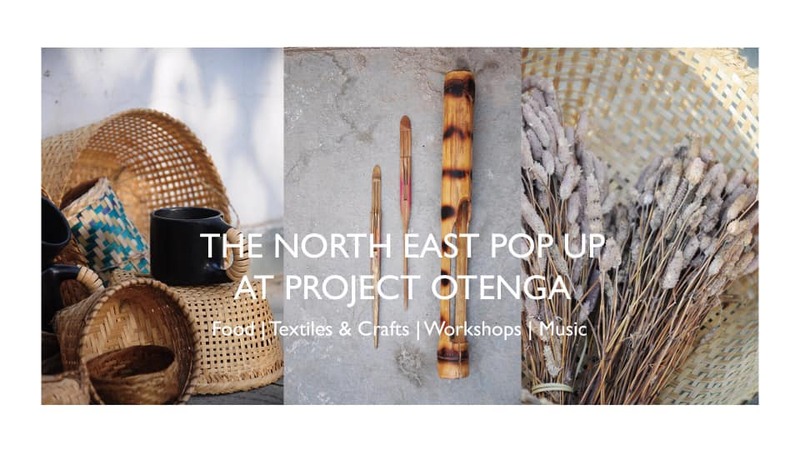 Drawing a few elements from this mood in the Ne India, Project Otenga brings you glimpses of traditional practices, cultures and taste from the far-flung states. COOKING WORKSHOP – Spend an afternoon learning to cook traditional Assamese cuisine ( vegan and nonveg both options are available based on the number of participants) followed by a community lunch. HANDCRAFTED COLLECTIBLES – Get a chance to pick up some of the handcrafted marvels from the NE. Together let’s cook a bowl of Northeast the way you know it and feel about it. Ingredients: Conversations, Moments, Culinary Delights, gathering glimpses, talking about travel experiences to the northeast, fun, exciting and shocking encounters, stories about your northeast friend, myths and curiosities, and many more…..
To enquire call or dm at 9925025603, 9723549105. The event is free for all, however, the Workshops will include fees.